You are here: Home / Great Deals / Amazon Deals / 12 Toys For Kids Under $10! 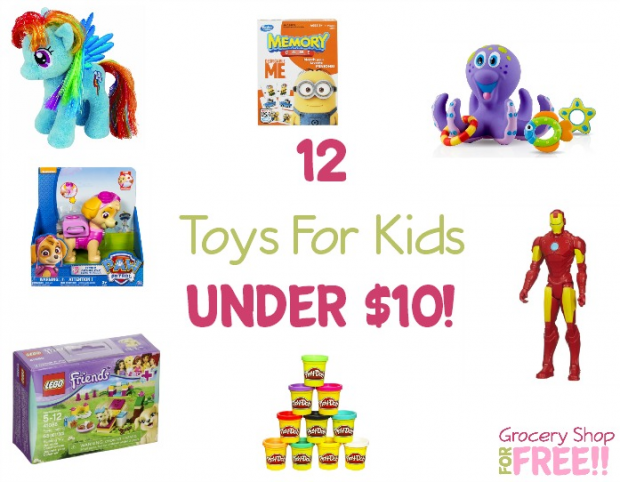 12 Toys For Kids Under $10! I find time and again that kids tend to really enjoy the small things, the simple things. So I like to make sure there are a few items in that category for all the little ones. Some of these are add-on items so keep an eye on that when you make your selections! 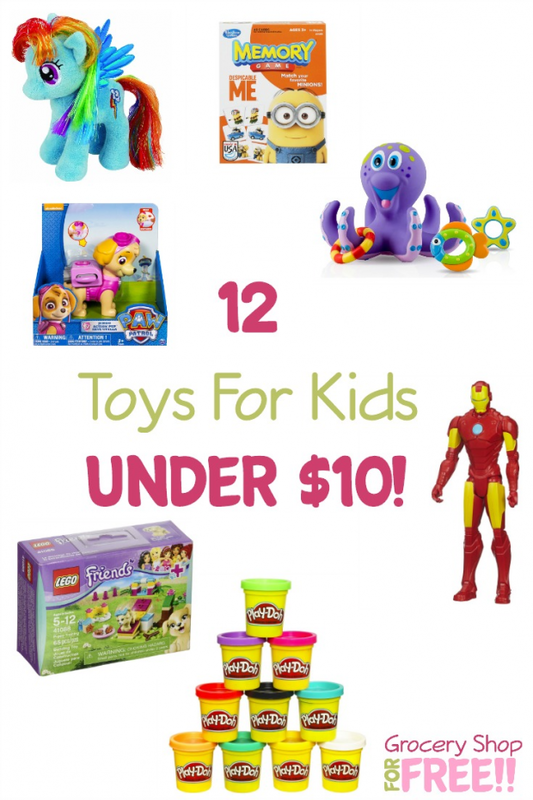 Here is a list of 12 Toys For Kids Under $10! Disney Frozen Glitter Glider Anna, Elsa and Olaf Doll Set Just $9.97! Disney Princess Glitter Glider Rapunzel Doll Just $9.97! Nuby Bathtime Fun Bath Toys, Octopus Hoopla, Purple Just $9.75! Play-Doh Case of Colors Only $7.99! Memory Game Despicable Me Edition Highly Rated and just $5.99! Nerf N-Strike Elite Triad EX-3 Blaster (Colors may vary) Just $6.88! Perler Beads 6,000 Count Bucket-Multi Mix Just $8.31! Marvel Spider-Man Titan Hero Series Spider-Man 12-Inch Figure Only $7.88! Marvel Avengers Titan Hero Series Iron Man 12-Inch Figure Just $6.99! LEGO Friends 41088 Puppy Training Only $4.99! Paw Patrol Jumbo Action Pup Toy, Skye Now only $9! My Little Pony – Rainbow Dash 8″ Only $7.52! There are a ton of great items out there that don’t cost an arm and a leg and that kids completely enjoy! Amazon is a great place to find so many! !